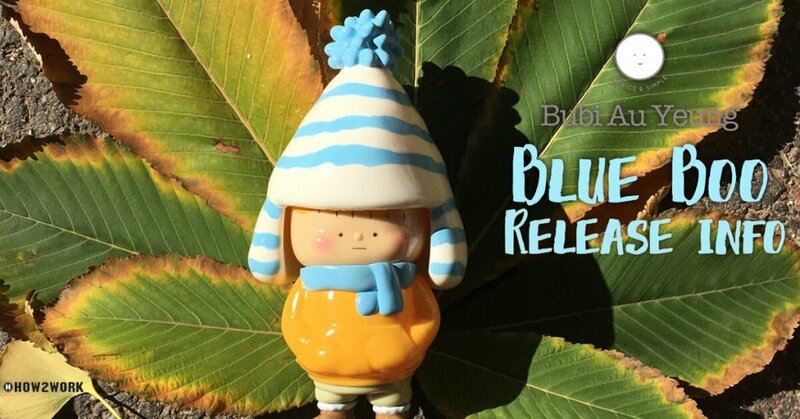 Back in November 2017 Bubi Au Yeung showed the world “Blue Boo” HERE. When shown it was just a guessing game when and where the release would be dropped. Today speaking to Bubi, she clarified a few things and made us want Blue Boo even more. So here you go, powered by the folks at How2Work Blue Boo has changed faces so 2 expressions and 2 will be blank for you to draw/paint your own expression. Like we said before, we’ve never seen this on a vinyl toy before especially with the twisting action! Pioneering stuff from How2Work. Blue Boo has a strong intuition, and he loves to close his eyes to enjoy the moment of solitude that made him aware of his surroundings and feels everything. Meanwhile, he would look so focused when he engages in deep thoughts. The World of Nonexistence runs until JAN 28th, 2018 so check it out if you’re around. Date and Time haven’t been released at everydaymooonday, please check back and we will update as soon as possible. International collectors will have to wait for everydaymooonday to announce the international shipping. Stay tuned for further updates. You can find Bubi via http://www.bubiauyeung.com/ and Instagram.